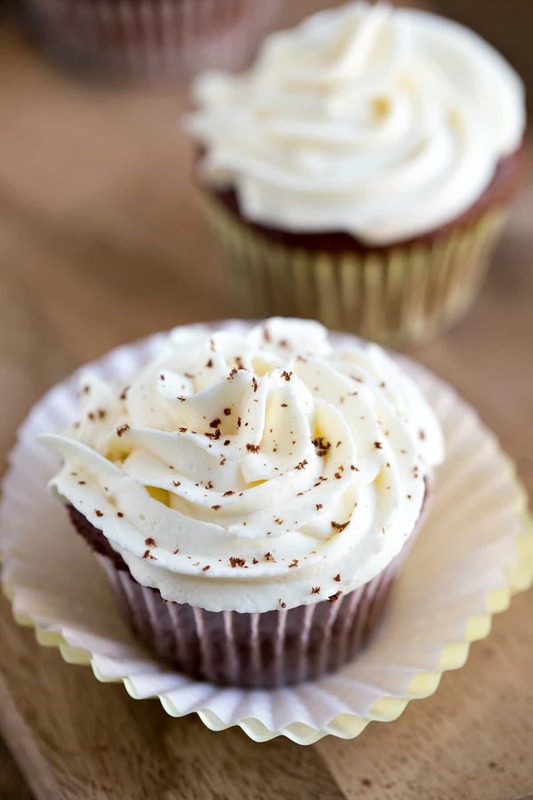 Whipped Buttercream Frosting is the best frosting ever! This frosting is made without powdered sugar. 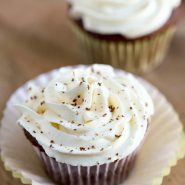 It has the rich creaminess of a buttercream & the light, airy texture of a whipped cream frosting! This recipe was originally published on 12/22/12. It was updated with new pictures on 7/25/16. This Whipped Buttercream Frosting recipe pretty much blew my mind. I owe a big thank you to my other mother, Marilynn, for this recipe (She was married to my father, and “other mother” is more fitting than “step mom”). I’m not a big frosting person; most buttercream frostings are just ok, and I can take them or leave them. Also, I used to have trouble getting my powdered sugar incorporated into the buttercream. It would just end up being lumpy. Well, this buttercream frosting takes care of that because it uses (are you ready for this?) granulated sugar! So, if you’ve ever wondered how to make frosting without powdered sugar, this is it! Don’t worry – it’s not gritty at all. In fact, it has the texture of a light whipped cream with the flavor of a sweet, vanilla buttercream. It’s honestly the best frosting (buttercream or otherwise) that I’ve ever had. It’s sweet but isn’t overwhelmingly, make-your-teeth-ache sweet. I’ve put answers to a lot of the questions I’ve received in the recipe notes. Please take a second to read through those notes before making the frosting. How much frosting will this recipe make? This recipe will make enough to frost a 2 layer 9-inch round cake or 24 cupcakes. If your frosting is still a little gritty after beating it for 5 minutes, go ahead and add the cooled milk/flour mixture. That will usually smooth out any remaining sugar. A couple people have reported that a film has formed on their milk/flour mixture. I haven’t had this happen, but another person said that she’s had good luck with blending the milk/flour mixture with a blender before cooking it. She said that it removed any lumps and helped prevent a skin from forming. Can I use food coloring in this frosting? I’ve never tried to use food coloring with this frosting. However, I have heard from several people who have successfully used both regular and gel food coloring. 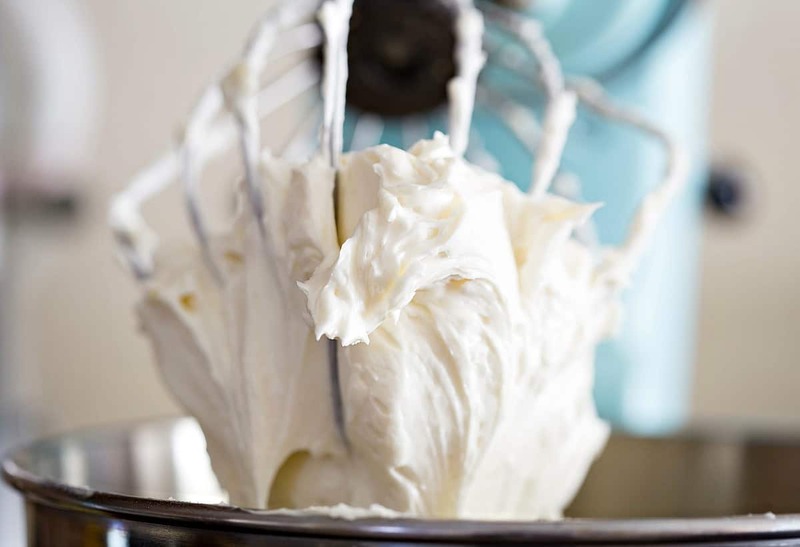 See how easy it is to make this whipped buttercream frosting! 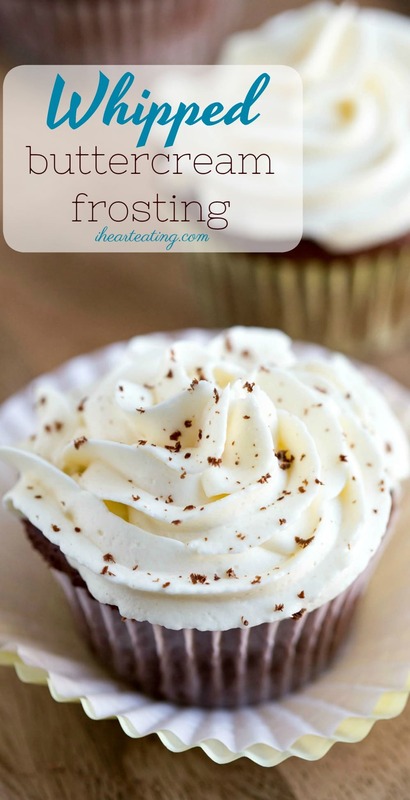 More frosting recipes (made with granulated sugar)! 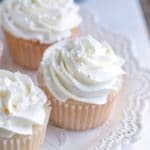 If you’ve tried this whipped buttercream frosting recipe, don’t forget to rate the recipe and leave me a comment below. I love to hear from people who’ve made my recipes! Light and fluffy buttercream frosting made without powdered sugar. 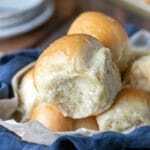 In a small saucepan, whisk flour into milk together over medium-low heat, stirring constantly, until it thickens. It will be the consistency of a thick paste. Make sure that you whisk the flour and milk together well before you begin cooking it to avoid lumps. Remove from heat and let it cool to room temperature. This step is key. If your mixture is warm, it will melt your butter, and you'll end up with runny frosting. While the mixture is cooling, cream the butter, sugar, and salt together until light and fluffy on medium high-high, about 5 minutes. Make sure that you scrape down the sides and really incorporate the butter and sugar to avoid gritty frosting. Then add the completely cooled milk mixture. Beat it for about 5 more minutes on medium-high to high until it looks like whipped cream. It may look separated at first, so keep beating it until it comes together and looks like a whipped cream. Make sure that your butter isn't too warm! The butter should be at cool room temperature. You want it to dent if you press it, but you don't want it to be so warm that it's near melting. Also, if you're using a hand mixer, beat it on high. 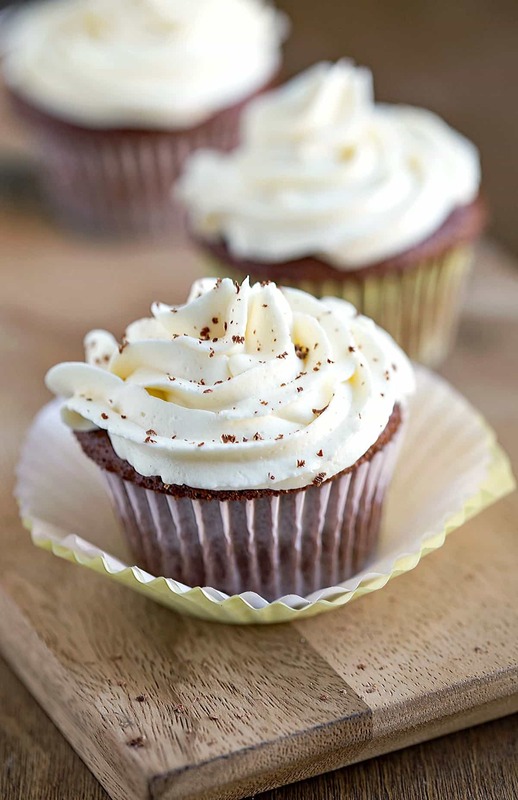 This recipe work well with a stand mixer because it has the power to really whip the frosting. To get the best flavor, you'll want to use real butter and pure vanilla extract. When cooking the milk/flour mixture, you don't want it to look wet. It should be like a thick paste. If it's wet and runny, your frosting will be too loose. Please don't cut the mixing time short! I know it's tempting, but it's important to beat the butter and sugar together for the time the recipe calls for to keep it from being gritty. If you cut the mixing times short, you won't end up with the right texture of frosting. Want to try a buttercream made with powdered sugar instead? Here is my favorite vanilla buttercream frosting that's made with powdered sugar. So I’m not much of an at home baker and usually put frosting from the containers into my pastry bags BUT I really wanted to make one and have tried several but they never turn out like I expect. Just yesterday I made a buttercream and threw it all away. I am at home with my son that has the flu and had some extra time so I decided to try your recipe. I didn’t think it would work out because of my experience with frosting BUT it did!! It was/is AMAZING!!! I couldn’t believe it!!! I’m watching my calories and just taste it to try BUT I’ve had more because it’s sooooo good I can’t stop!! !😂 Anyway, this is perfect!! Thank you so very much for posting!! It reminds me more of bakery frosting.. so much better than any from a container or grocery store. Thanks again!!! I’ve been using a recipe like this for years. I love the end result. Here’s my experiments: Works amazingly with coconut cream. I also add 1/4 tsp coconut extract to pump up the coconut flavor. I prefer using the cook the sugar in with the milk & flour method. I also use an immersion blender first to prevent lumps. Before I got one, I strained the milk/flour mixture after cooking. I always use freezer to cool my milk/flour mixture & I just realized it would cool even faster if I transfer it to a metal bowl (duh me). So my problem (except for the coconut cream), this frosting has a tendency to separate in the bag the next day. The frosted cupcakes are fine. It’s just what’s in the piping bag or container. And it doesn’t seem to matter if I fridge it or leave it out. (in my state a frosting is shelf stable if it has a cook step). Sometimes & I can rewhip successfully & sometimes I can’t. Any suggestions? How interesting! 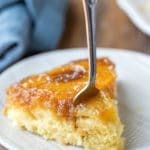 I haven’t tried this recipe with coconut cream, but that sounds delicious! =) Have you tried using a little more flour or cooking the mixture down more? Thanks! I will try that and let you know. I’ve also used the recipe with almond milk (success), evaporated milk (fail), half & half (success) & whipping cream (success). The half & half and whipping cream I only use if I’m in a hurry. That sauce gets thick FAST with those. And you can’t use the the immersion blender method when using whipping cream…LOL. Unless you wanted whipped cream and not frosting. Help! I’ve beat it 4 different times for 5 minutes, and it’s still grainy. I used granulated sugar. I am using a hand mixer, but it has a super speed and goes up to 275watts. I’m in Perú, maybe they have super sugar? What if I start again and add the sugar to the flour mixture while still warm, to melt it? Then beat butter fluffy, and add the flour sugar mixture? Hey! Try adding the cooled milk/flour mixture and beat that in first. Most of the time, that will smooth out any remaining sugar. If you wanted to change anything, I would suggest heating the sugar with the milk and the flour. I’ve heard from people who have put the milk/flour mixture in warm, and it seems to just separate and doesn’t want to come back together. I hope this helps! Please let me know if you have any other questions. Delicious! I cheated and cooled the milk and flour mixture in the fridge for a few minutes. I also used a 1/4 c less sugar, but this was delicious! A great texture and it was SO nice to not have a sickeningly sweet frosting (that my sweet tooth of a husband loved too)! Thanks! I’m so glad that you both liked it! Sometimes I chill the milk/flour mixture, too, if I’m in a hurry. =) Thanks for your note about using less sugar. I get questions about that from time to time. Thanks for commenting! What would the buttercream look like if I over beat it? It would look similar to overbeaten whipped cream – it would look sort of lumpy and stiff. Ok my buttercream looked like soup. What would you think the problem was there? The butter was not warm and i made sure the mixture was not warm. Any tips on how to fix it? I tried putting it in the fridge and then rewhipping but it was not coming together. I have a few questions for you. When did it look like soup? Was it after the milk/flour mixture was added, or was the butter/sugar runny? How long did you whip the butter and sugar together? Were the bowl or beaters warm? I whipped the butter for more than 5 minutes. It started to become soupy after I added the flour mixture. It looked good but I kept beater for the full 5 minutes and I started to notice it wasn’t coming together anymore. The beaters were not put in the freezer beforehand. They were just room temp. I think I know where things went wrong. Room temp beaters should be fine. I just wanted to double check that they weren’t warm (like straight from the dishwasher). First, you shouldn’t need to beat the butter and sugar for more than about 5 minutes. The longer the butter is beaten the warmer it gets, so that may have played a role in it. If a little bit of sugar is still detectable at 5 minutes, go ahead and add the flour mixture and that should smooth any remaining sugar out. Second, it sounds like the flour mixture either was too warm or wasn’t thick enough. Those are the two reasons that it becomes soupy when added to the butter/sugar. The milk/flour mixture should be room temp. It shouldn’t feel warm. If you’re unsure if it’s too warm, you can even chill it (though you may want to cover it to prevent a skin from forming). Since you said that it wasn’t warm, it sounds like it wasn’t thick enough. It should be the consistency of a thick paste. There’s a picture of what it should look like just under the first picture at the top of the post. I hope this helps! If you have any other questions, please feel free to ask. I want to help or to clarify anything that I can. Thank you! I will def try it again and hope it works out! Good luck! If you have any questions, please don’t hesitate to ask! I love this recipe. I have been looking for a good whipped buttercream without the sweet taste that regular buttercream made with powdered sugar has. This is easy if you follow the directions and whip it enough. Thanks for the great recipe. Thank you! I’m so glad that you liked the frosting! =) Thank you for commenting! Can this frosting be made a day ahead and kept in the refrigerator until ready to use? It can. However, the frosting will firm up quite a bit once it has been in the fridge. You’ll need to let it come up in temp before using. Did you use regular granulated sugar? Is this recipe good for piping? I’ve been looking for a less sweet frosting option and this is it! It came together perfectly and is exactly what I have been looking for. I did a test run today with it so I can use this recipe for my daughter’s birthday cupcakes. Thank you so much for posting this!! I’m so glad that you found the recipe and liked it! =) Happy birthday to your daughter, and thanks for commenting! I k now I did something wrong! It taste awesome but it’s not coming together. Can I fix this or just start over? Which step are you on in the recipe? When you say it isn’t coming together, do you mean it’s separating? Could I use almond Milk instead of regular milk? I’ve heard from people who have successfully used nondairy milks like almond milk. Hope that helps! Hi can I replace the milk and flour with whipping cream? Hi! I’m not sure how that would come out. I’ve heard from people who have used whipped cream in place of part of all of the milk, but I haven’t heard from anyone who has subbed whipping cream for both the milk and the flour. Hello, how long will this keep and is it okay to leave the cake out for a few hours with this icing? Thinking of using it for my wedding cake. It is ok to leave the cake out for a few hours with this icing. The cooler the room, the better it will keep at room temperature. Because of the high dairy content, I don’t leave it out at room temperature for more than 4 hours, but that may just be me being overly cautious. Hope helps! Hi! I’m so glad that you liked it! Were you using regular or gel color? I have heard from several people who have used gel color with good results. I think since it’s thicker it doesn’t affect the consistency as much. Hope that helps! Chave you added powdered dehydrated fruit to flavor the frosting? If I wanted to try … at what point should I? After I add the flour / milk mixture ? Amazing! Best buttercream ever. I normally take icing off cake or cupcakes before I eat it, it’s always too sweet and too heavy. This is perfect. It’s light and fluffy and not cloyingly sweet, just the right touch. Thank you so much! I’m so glad that you liked it! It sounds like we like the same kind of frosting. =) Thanks for commenting! Thank you! Haha! I’m someone would wipe the frosting off, too. =) I’m so glad that your family liked it! Thanks for taking the time to come back to comment! That’s awesome!! I’m so glad that it’s been a hit. =) Thank you for taking the time to comment! First time I made this frosting, it was AMAZING! now, everytime I go to make it, I get clumps of flour mixture in my icing(maybe because it forms a skin when cooling?) and it’s ‘breaking’. Is there any tips for this not to happen? Thanks!! Thanks! I’m happy to try to help you figure this out! Hmmm, if it’s forming a skin, that shouldn’t give you lumps of flour unless the flour isn’t incorporated. Are you doing anything differently (using different brands of ingredients, different pot to cook the milk/flour mixture, etc.)? I would guess that the two issues are related. If the flour isn’t getting incorporated into the milk to properly thicken it, that could cause both the lumps as it cooks and then breaking. I’ve found that I need to make sure that the flour is totally incorporated into the milk before I begin heating it, and I need to whisk around the edges as it cooks.